Are you interested in combat sports and want to become a fighter? If yes then Muay Thai training is the best option for you. This is a traditional combat sport of Thailand, and it was invented before hundreds of year. In this unique and unique type of fighting training, you should be more focus on your body as well as the mind. In this combat, the body works as a deadly weapon and can create severe damage to anyone. Muay Thai also known as the art of eight limbs, and the main reason behind this name is 8 different points of the body are well involved in this act which is more efficient than any other fighting strategy. In this fight, your hand, legs, knees, elbows act as weapons. You need to concentrate all of these body parts because you need to operate the whole body parts as a perfect combo. Muay Thai training is very much needed, and for this, you need mental strength and hard work. This act is all about skills and perfection. If you can learn all the acts perfectly, then no one can stop you become a good fighter for sure! A good training camp and a good trainer can only make you a good fighter so always choose a registered camp to learn the real tricks of this traditional fighting act. So what are you waiting for? 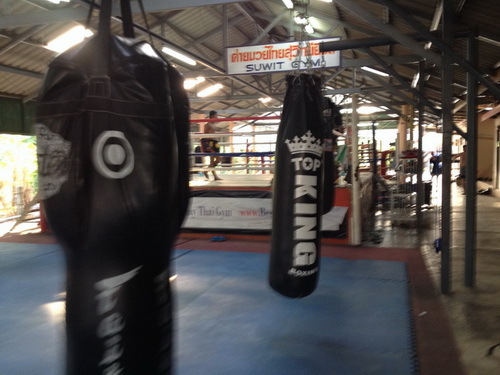 Just join a good Muay Thai training camp and prepare yourself as a real strong fighter. Previous PostImproving your skillNext PostHow to deal with muscle cramps?